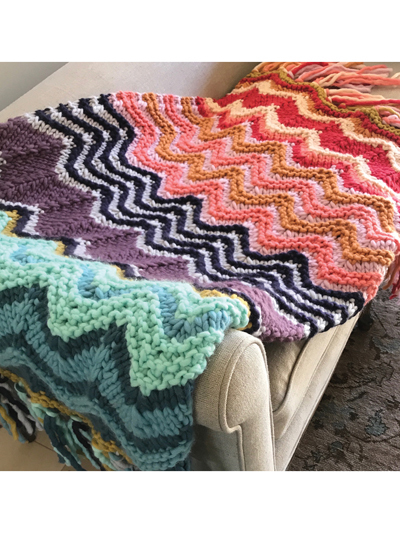 Bust out the yarn stash! 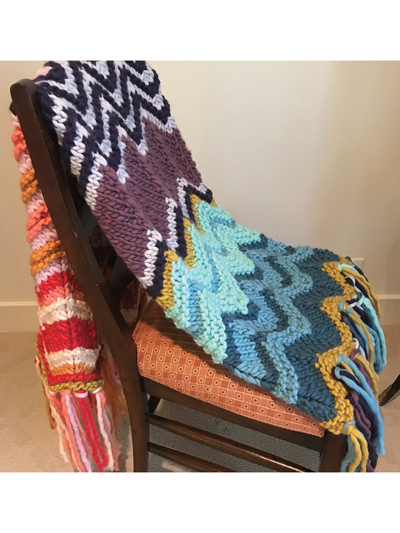 The blanket uses 12 colors of a bulky-weight yarn worked in a chevron pattern in garter or purl stripes, displaying groups of coordinating colors together and finished with matching fringe anchors on each end. Knit with 600 yds super bulky-weight yarn using U.S. size 17/12.75mm or 19/15mm needles. Finished size: 38" x 60".